It’s no longer a new trend that most iPhone users are making their own custom ringtones. But why are people not satisfied with iOS default ringtones? This is because ringtones have gone beyond being means of notifications to become expressions of our minds. That’s why we use ringtones that are made from songs we love, especially the precise section of the songs that spring-up feeling and emotions in us. But making ringtones from songs is not an easy task without the tricks, and it entails some level of technicality. But we come to your rescue in this post. Ringtone maker tools are becoming more acceptable than iTunes because of the many benefits they offer to Apple device users in making ringtones. One ringtone maker tool that’s making wave recently is iMyFone TunesMate iPhone Manager. iMyFone TunesMate is an all-in-one iOS manager which allows you to freely transfer music/videos/playlists/ringtones/files between iPhone and computer without data loss. You can also manage your iPhone ringtones computer, like to export, import, add, backup, delete, rename, convert and more actions. Two-way transfer to freely transfer files (including ringtones) between iPhone and computer without data loss. Directly move files from computer to iPhone without going through iTunes library. Support both purchased and non-purchased files when transferring. Built-in converter will convert those incompatible files while transferring to iPhone. Manage Playlists: Take the full control of your playlists, like to add, delete, edit, export, import playlists or manage the songs. Step 1: Launch iMyFone TunesMate on your PC, and connect your iPhone using a USB cable. Step 2: Click “Music” tab at the top menu. Right click on the track you want to set as ringtone, and choose “Make Ringtone”. Note: If you want to make ringtone from computer songs, just go to Music tab > Ringtones tab at the left sidebar > Ringtone Maker at the right panel > Local Music and select the song from computer. Step 3: As the song is playing, decide the point to set as start and the point to set as a finish. Step 4: Click “Ringtone Audition” to preview, and choose to save the ringtone on iDevice or computer by clicking “Save to PC” or “Save to Device” respectively. In this case, you’ll need to click on “Save to Device” and your newly created ringtone will be uploaded to your iPhone. With TunesMate, you can be playing a song when trying to set the start and finish time for ringtone. 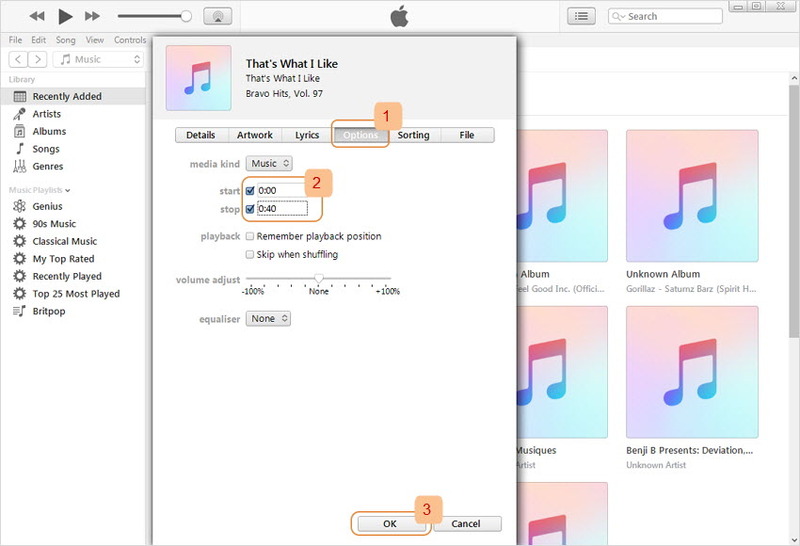 You can preview songs before saving them on your iPhone. All your iPhone ringtones will still be intact even when syncing your new ringtone to iPhone. Make custom ringtones from any music in iPhone or computer. Cut the precise length of the ringtone from any song while listening to the song. The process of making your own ringtone with iTunes is a bit circuitous, you’ll have to copy files from Finder, make changes to file names, and drop such files on iTunes. These are some of the reason why we don’t recommend using iTunes to make ringtones for iPhone. 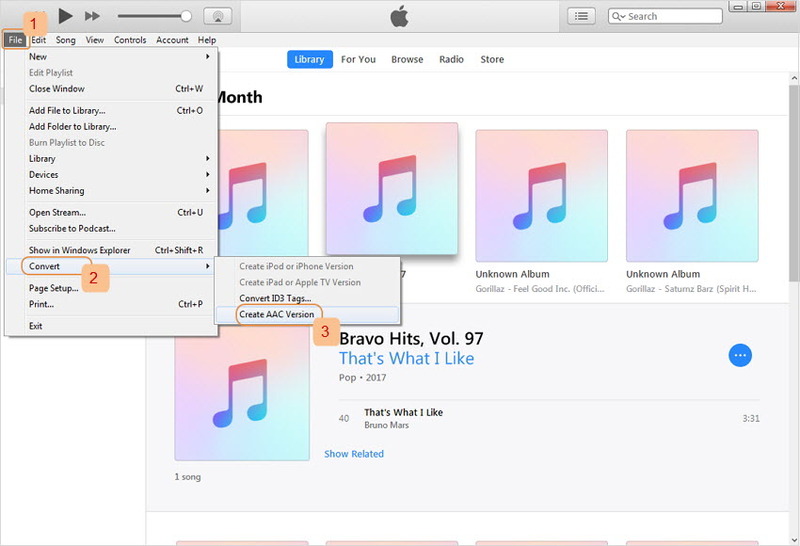 Step 1: Launch iTunes on your PC, and connect your iPhone to your computer using a USB cable. 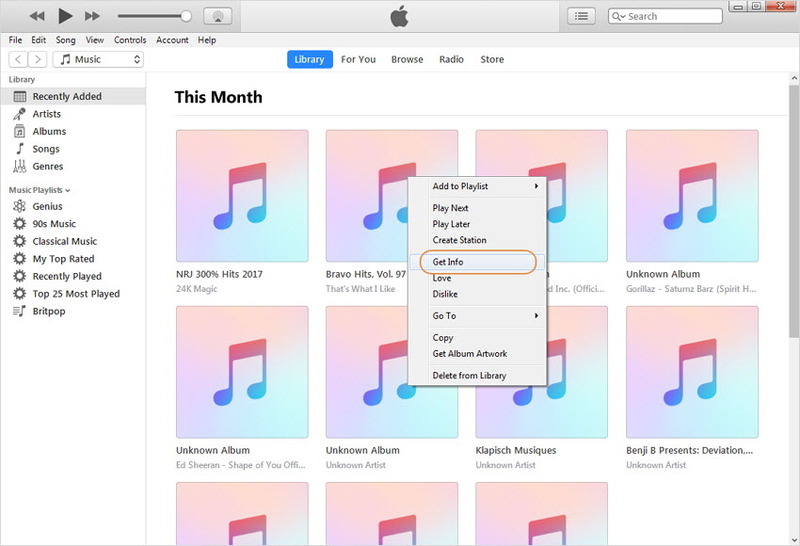 Step 2: Is the music file already in your iTunes library? 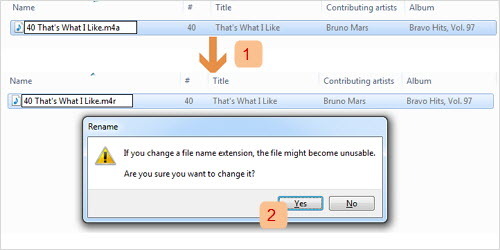 If not, add the music file to your iTunes library by clicking “File > Add to Library”. Note: But if the song you want to make ringtone is in your iPhone, you’ll need to extract the music. Step 3: Right click the song in iTunes library, and choose “Get Info”. Step 4: Click “Options” and set the start and stop time. Click “OK” to save your entry. 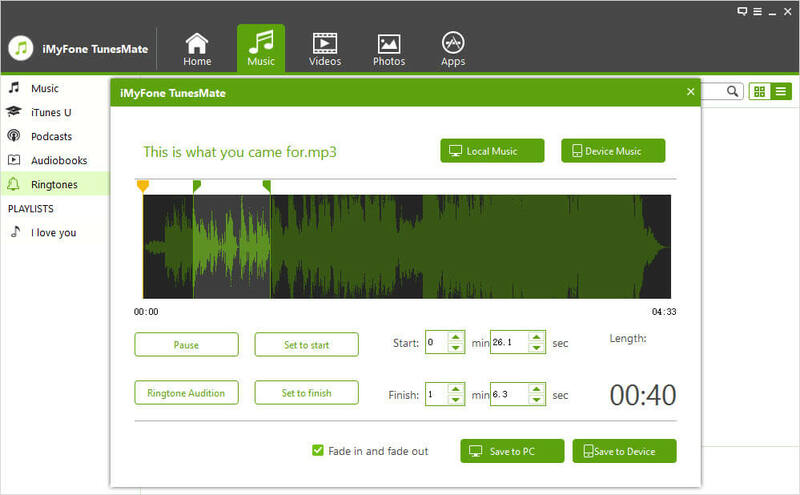 Step 5: Click on the song again, then click “File > Convert > Create AAC Version”. Step 6: Go to iTunes library and right-click the newly created AAC version of the song. Then for Windows PC users click “Show in Windows Explorer”, and for Mac PC users click “Show in Finder”. Step 7: Rename the M4A file to M4R, and save the changes. Step 8: Go back to iTunes, drag the M4R ringtone and drop it on the “Tones” menu of your iPhone. The start and finish time for ringtone cannot be set while listening to the music on iTunes. Hence, you can only play the song first, mark the precise start and finish time, and come back to iTunes to set it. The option to preview ringtone before saving is missing. You may get to lose some or all your iPhone ringtones when syncing iTunes ringtones to your iPhone. iTunes doesn’t offer you any guide even though the process is tedious. iTunes doesn’t allow you to extract ringtones from iPhone to computer. 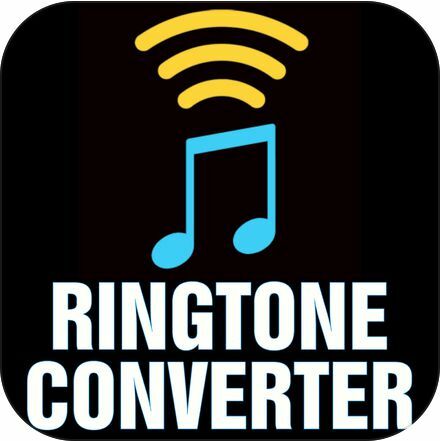 Ringtone Maker apps are very handy when it comes to making ringtone for your iPhone. They allow you to create unlimited custom ringtones, text tones, and alerts using songs in your iPhone music library. Here is how it works: when you download and install a ringtone maker app on your iPhone, iPad or iPod touch, then you can use the app to choose your favorite song and decide which section to be your ringtones. Some apps may allow you to download ringtones. But note that all the apps require you to create your account and log in first.